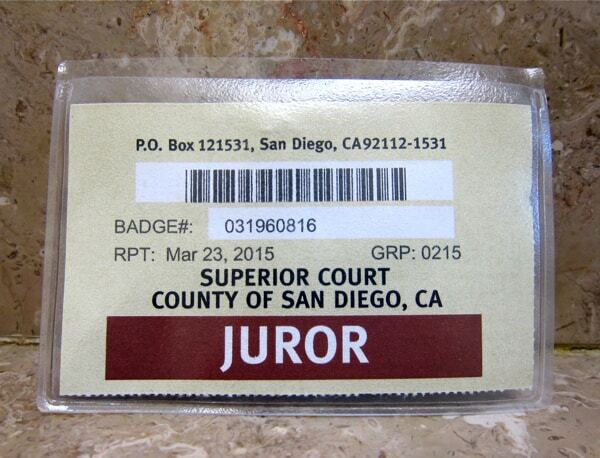 I had jury duty this week for the first time, a criminal case. When I had been working as a psychotherapist in private practice, I had always been excused, being self-employed and in a position where others, my patients, relied on me for care. Yet I had appeared in court as a witness many times, in Family Court for divorce/custody related matters, and in Juvenile Court when I treated many foster children. Only once before had I ever testified in Criminal Court – and I was not happy to return, even as a juror. Some years ago, I had testified for three days in a very high profile child abuse case that gained national attention. My name appeared in the local paper, along with some quotes from my testimony. Because my testimony supported the defendant, an unpopular position at the time, I received death threats and looked over my shoulder for many weeks when I left my office in the evening. Despite hostile treatment by both the DA and the judge, I stuck to my guns. Eventually, the prosecutor lost her job, the judge was reprimanded and I ended up the only therapist not named in a subsequent civil case where the defendant was awarded millions. So, it was with reluctance that I returned to Criminal Court to Department 46 for voir dire. There were fifty of us from the jury pool and I assumed, as a former mental health professional with substance abuse training, that I would be excused, as I had been three times before. Not so! After a long day, I was the last juror seated and became “Juror #12”, in a case of alleged drug possession with intent to sell, a serious charge. For the next two days, we heard evidence and got to know one another during breaks and over lunch, despite not being allowed to discuss the case until deliberations. We were a diverse group in terms of age, race and employment. I sat in the box next to a young man, a freshman in college, home for his spring break, who looked about 16. (He was a terrific juror.) The bonding of our group strengthened during deliberations, which took only an hour. The evidence had been damning and we reached a unanimous verdict of guilty on all counts. I was impressed with everyone’s efforts to make responsible decisions about the case. For me, I came away with the sense that our judicial system had worked in this case. My civic duty complete, I sailed out of that courthouse and my time as Juror #12 came to an end, much to my relief. Thanks, Wendy, we had a delayed anniversary celebration this weekend. Wow what an experience you had! Glad this week’s experience was less traumatic! It was, Jayne, and now I get 3 years off before I can be called again. Wow Liz holy cow, death threats. I was picked only once but was let go because I told them I could not be fair and impartial (I couldn’t). Sounds like this case was pretty clear cut and was decided quickly and efficiently. The weekend has been such a relief, Suzanne – thanks for your comment. Greg, I was anything but cool – but thanks, pal. Oh Liz – what a week! So glad it ended quickly. And what a scary prior experience. Yes, the fresh air felt great when I walked out of the courthouse for, I hope, the last time for a while. I guess I am “free” for 3 years, since I actually served on a jury. Oh my gosh, Liz! I had no idea your past with the judicial system. How frightening, no matter how validated you must have felt in the end. But what a horrible experience!! I’m so proud of you for your strength of conviction and your bravery to launch a blog, which tends to be so public. Good for you!!!!! I’m happy to hear, on the other hand, that this experience was so positive. It felt good to tell the old story – a real bit of PTSD for me.